Capitalizing on our sophisticated quality analysis facility, we have evolved as the premium Importer, Exporter and Supplier of Magnesium Ingots in London & rest of the world. Endowed with excellent properties, our Magnesium Ingots range is stringently tested to ensure compliance with highest quality standards. 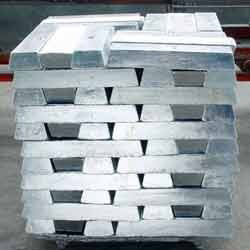 Buyers can avail themselves of quality-tested and meticulously-packed Magnesium Ingots from us at marginal prices. Also, we entertain bulk orders.